"Goodnight and Go" is a song by British singer-songwriter Imogen Heap, the second single from her 2005 album Speak for Yourself . The single received a little more push and promotion in the US than "Hide and Seek", and the music video received airplay on VH1. Jeff Beck plays guitar on the track. Imogen Jennifer Heap is an English singer, songwriter, record producer and audio engineer. Born in the London Borough of Havering, Heap became classically trained in piano, cello and clarinet at a young age. She began writing songs at the age of 13 and, while attending boarding school, taught herself both guitar and drums, as well as music production on Atari computers. Heap signed to independent record label Almo Sounds at the age of 18 and later began working with experimental pop band Acacia, alongside Guy Sigsworth, as a frequent guest vocalist. Speak for Yourself is the second solo album by British singer Imogen Heap, following her collaborative effort with Guy Sigsworth as Frou Frou. The album was released in the United States in 2005. It was written, produced, arranged, and funded by Heap, without the backing of a record label, and features guest appearances from Jeff Beck, who provides a guitar solo on "Goodnight and Go", and Heap's ex-boyfriend, Richie Mills, who argues with her on "The Moment I Said It". 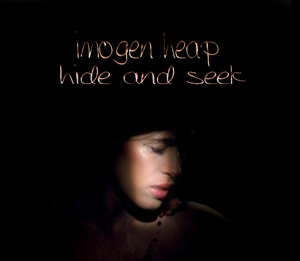 "Hide and Seek" is a 2005 song written, produced, and performed by Imogen Heap. The song was released as the first single from her second album Speak for Yourself. The single was certified gold by the RIAA on 3 April 2009. Itself influenced by Paul Lansky's "Her Song", the track was later sampled in Jason Derulo's "Whatcha Say", a song receiving international success. As of 2009 the song has sold 647,000 copies in United States. "Goodnight and Go" was remixed by Heap for radio to include elements from her live performances of the track and labelled as 'Immi's Radio Mix', which is accompanied on the release by a brand new track "Speeding Cars". The video, which is featured on the CD release, hit MTV and VH1 UK in early April, before being added to other television channels later in the month, and the single charted at number 56 in the official UK top 75 singles chart. A special edit of the video for the US market was released in late April. Made in Chelsea is a BAFTA award-winning, structured-reality television series broadcast by E4 in the United Kingdom. Made in Chelsea chronicles the lives of affluent young people in the West London and South West areas of Belgravia, Kings Road, Chelsea and Knightsbridge, as well as their travels to other locations around the world. Ariana Grande covered/remixed the song for her album Sweetener , released in August 2018. Grande's version uses a sample of the original as part of an original arrangement but with extra harmonies and different song structures, with a new verse penned by Grande. It was written by Grande, Heap and Victoria Monét. In terms of music "Goodnight n Go" is a EDM and future bass song that contains trap and deep house elements. Victoria Monét McCants is an American singer and songwriter. She became involved in performing arts at a young age, singing in the youth choir at her church and performing in a city dance team. She soon took to writing and began working with producer Rodney Jerkins. Previously signed to Atlantic Records, In 2014, Monét released her debut EP Nightmares & Lullabies: Act 1 and the following year released her follow-up EP Nightmares & Lullabies: Act 2. She has also written songs for artists such as Ariana Grande, Fifth Harmony, Nas, T.I., GOOD Music, Lupe Fiasco, Chrisette Michele, Coco Jones, Chris Brown, Diddy Dirty Money, Janelle Monáe, and Jasmine V.
Burbank is a city in Los Angeles County in the Los Angeles metropolitan area of Southern California, United States, 12 miles (19 km) northwest of downtown Los Angeles. The population at the 2010 census was 103,340. "Headlock" is a song by British singer-songwriter Imogen Heap, from her 2005 album Speak for Yourself. It was the third single from Speak for Yourself, following "Hide and Seek" and "Goodnight and Go". Remixed for radio as 'Immi's Radio mix' and accompanied by a new all-vocal B-side, entitled "Mic Check". 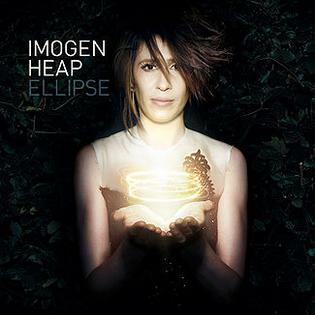 Ellipse is the third studio album from British singer-songwriter Imogen Heap. After returning from a round the world writing trip, Heap completed the album at her childhood home in Essex, converting her old playroom in the basement into a studio. The album got its name from the distinctive elliptical shape of the house. The album's title was confirmed by Heap via her Twitter page on 25 April 2009, after being leaked onto the internet on 23 April. On 15 June, Heap confirmed that the album would be released on 24 August 2009 in the United Kingdom on Megaphonic Records and 25 August in the United States/Canada on RCA Victor Records. International release date was also 24 August. "No Tears Left to Cry" is a song by American singer Ariana Grande from her fourth studio album, Sweetener (2018). Written by Grande, Savan Kotecha and its producers Max Martin and Ilya, it was released by Republic Records as the album's lead single on April 20, 2018, alongside its music video. The song is a dance-pop and disco song with a UK garage beat. Additionally, the track received a number of club remixes, many by renowned DJ's such as Junior Sanchez, StoneBridge, and Moto Blanco, among others. "God Is a Woman" is a song by American singer Ariana Grande. It was released on July 13, 2018, as the second single from Grande's fourth studio album Sweetener (2018). The song was written by Grande, Max Martin, Savan Kotecha, Rickard Göransson and its producer Ilya. "Breathin" is a song by American singer Ariana Grande from her fourth studio album Sweetener (2018). It was written by Grande, Savan Kotecha, Peter Svensson, and its producer Ilya Salmanzadeh. The song was sent to US contemporary hit radio on September 18, 2018, serving as the album's third single. Lyrically, the song speaks about how breathing is affected when suffering from anxiety and is based on Grande's own experience. The Sweetener Sessions was the first promotional tour by Ariana Grande, in support of her fourth studio album Sweetener (2018). It began on August 20, 2018 in New York, United States and ended on September 4, 2018 in London, United Kingdom. Social House is an American pop duo from Pittsburgh, PA. In 2018, Social House was signed to a joint venture between Scooter Braun, TBHits, and Interscope Records. ↑ Sutherland, Mark (20 June 2009). "Greatest Synchs". Billboard. Retrieved 29 January 2019. 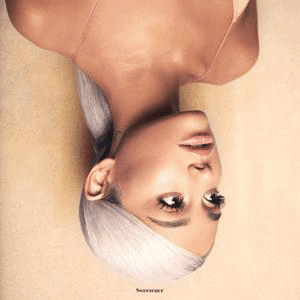 1 2 "Sweetener- Ariana Grande". AllMusic. Retrieved August 23, 2018. 1 2 "Every Ariana Grande Song, Ranked: Critic's Picks". Billboard . Retrieved November 11, 2018. ↑ Sweetener (CD). Ariana Grande. Republic Records. 2018. p. 5. B0028815-02. ↑ "goodnight n go - Ariana Grande". Genius . Retrieved November 23, 2018. ↑ Mapes, Jillian. "Ariana Grande: Sweetener Review". Pitchfork Media . Retrieved November 23, 2018. ↑ "Sweetener by Ariana Grande on Apple Music - iTunes". Apple Music . 2018-08-17. Retrieved 2018-11-23. ↑ "goodnight n go By Ariana Grande - Digital Sheet Music". Musicnotes.com. Retrieved November 23, 2018. ↑ "Imogen Heap Talks Ariana Grande's Version of 'Goodnight and Go': 'It's a Real Gift'". Billboard. ↑ "ARIA Chart Watch #487". auspOp. 25 August 2018. Retrieved 25 August 2018. ↑ "Archívum – Slágerlisták – MAHASZ" (in Hungarian). Single (track) Top 40 lista. Magyar Hanglemezkiadók Szövetsége. Retrieved 30 August 2018. ↑ "Ariana Grande Chart History (Canadian Hot 100)". Billboard. Retrieved 28 August 2018. 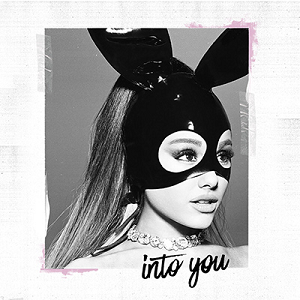 ↑ "Portuguesecharts.com – Ariana Grande – Goodnight N Go". AFP Top 100 Singles. Retrieved 31 August 2018. ↑ "Official Scottish Singles Sales Chart Top 100". Official Charts Company. Retrieved 16 February 2019. ↑ "Ariana Grande Chart History (Hot 100)". Billboard. Retrieved 28 August 2018.